REV. ELIZABETH KOZBIAL, beloved wife of the late Mr. Jan Kozbial of Lethbridge passed away at the St. Michael’s Palliative Care on Monday, February 18, 2013 at the age of 79 years. She is the loving mother of two sons; David (Sue) Kozbial and Michael (Christine) Kozbial of Calgary; seven grandchildren, Christopher, Natalie, Rebecca, Ashley, Cameron, Jessica and Devin, two great grandchildren William and Cody. She is also survived by nieces and nephews; Ann, Robin (Jenny) and John (Sally). Elizabeth was predeceased by her husband Jan, grandaughter Caitlin, great grandson Lucas, one brother Maurice and a sister in law Margaret. Elizabeth was born August 22nd 1933 in West Chiltington, Sussex, England, to parents Alice Elizabeth and William Alfred Ayling. Along with her brother Maurice, she spent her early years on a small orchard farm. She attended teacher training college in London, and worked as a teacher in the English Midlands. She met her future husband Jan Kozbial, and went to work at a school for special needs children in Cornwall, where he was working as a caretaker. They were married in 1960, and for their honeymoon, emigrated to Canada. Elizabeth taught school in the Southern Alberta communities of Hoping and Onefour, but put her career on hold when sons David and Michael were born. In 1976 the family moved to Lethbridge, and soon afterwards Elizabeth completed her Bachelor of Education degree and resumed teaching, first in Bow Island, and later in Standoff. When Jan passed away in 1984, Elizabeth retired from teaching to dedicate time to her sons. Once they were grown, she embarked on a path that led her to ministry. With the sponsorship of First United Church in Lethbridge, she obtained her Masters of Divinity from St. Andrew’s in Saskatoon, and was ordained in the United Church of Canada in 1999. She readily accepted the church’s suggestion of posting to Newfoundland, and she spent several years ministering to small rural communities around Woody Point, near Corner Brook, and later around Victoria Cove, near Gander. She retired from ministry in 2007, and moved back to Lethbridge in 2008 to be near her family. She enjoyed being a grandma, and also giving her time to First United Church, TOPS, On Our Own, and CNIB, as well as to many circles of friends in the Lethbridge area. 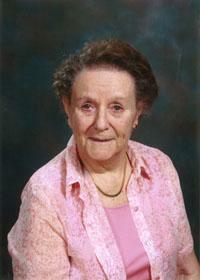 She passed away peacefully at St. Michael’s Care Center in Lethbridge. She made an indellible impression on everyone she met, and she will be remembered fondly, and missed greatly by everyone who knew her. A memorial service will be at CORNERSTONE FUNERAL HOME, 2800 Mayor Magrath Drive South, Lethbridge on Saturday, February 23, 2013 at 11:00 A.M. with Reverend Brenda Kersell officiating. A private family interment will take place at Mountain View Cemetery. Memorial Donations may be made to the Canadian Cancer Society, 317-10th Street South, Lethbridge, AB, T1J 2M7.